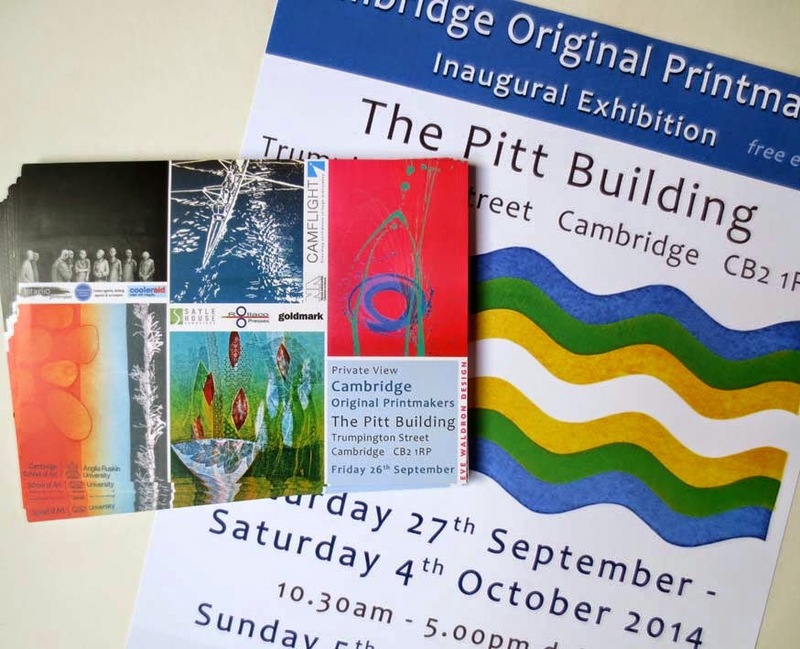 The Cambridge Original Printmakers show is fast approaching, the preview is in just two weeks time. It then runs from 27th September - 5th October. See my Events page for details. I will be one of the artists giving a talk. On Friday 3rd October at 1:30pm I will be demonstrating my perspex and cardboard drypoint printmaking techniques. Talks are free, so come along and see how I work. Other printmakers giving talks or demonstrations are Chloe Cheese, Stanley Jones, Andy English, Carry Akroyd, Kip Gresham, Sue Jones, Valerie Sims, Emma James, Wendy Poole, Tania Scott Durrant and Geri Waddington. Some need to be booked in advance so look check the website for details.